Discussion in 'NFL Football Forum' started by everlong, Dec 27, 2018. Flawed to say the least. They're both likely to break the receiving yards but neither is close in TDs and that's without getting into the blocking discussion and how the other two are really large WRs. Don't get me wrong I'd take either in the Hernandez role in a heartbeat. I advocated for drafting Kelce when he came out. Kittle was a pretty good blocker in college - much better than most who can catch. No idea how well he's doing in the pro game, though. Well let’s get into the blocking discussion. Looking at the numbers it just reinforces how Gronk's season was absolutely insane on every level including his value as blocker. Kelce wasn't bad in college either. Blocking doesn't equate to guaranteed money in the NFL. I miss the old Gronk. He was so much quicker back then. If only that 2011 team had a defense. Offensively we had glitch codes. The only thing jimmy is going to shatter is some other bone in his body. Kittle by all accounts is a very good blocker. Holy **** I had no idea Kittle was putting up those numbers. And most of kittles numbers have been with backup QBs. Seriously give it up. You either a)need to go find a new team to root for and a new board to follow since everything is anti-pats or b)need to find some hobbies other than lame attempts at trolling message boards. 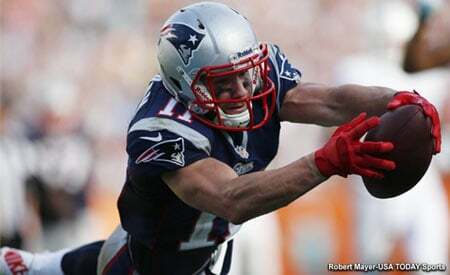 Gronk's 2011 season is the best ever for a TE. Kittle or anybody else hasn't approached jack ****. Kittle is the heaviest player to ever have a 200+ yd receiving game. I'm rooting for Jimmy G. Growing up in the 70's it was the same teams over and over again. So when the 49ers and Bengals played I was psyched and the 49ers were my NFC team. Jimmy going there as an expat I hope he does well. If the Pats played them in the SB that would be a great story and I would root for the Pats to win by an epic score. I live in the Bay Area. What’s not to like about Jimmy G? I hope he has a great career; he’s a heck of a talent and fun to watch. Too bad this isn’t like European Football. A four year lease to the 49ers would have been the move to make. If only Pollard hadn't deliberately landed on Gronk's ankle and twisted it. Super Bowl 46 Champs, no doubt. East coast bias is real. Mr Jimmy is over hyped. He will be a bust. Kittle was a guy I thought the Pats would have taken a stronger interest in, Ferentz/Iowa as a theoretical connection to BB but I can’t think of other players from there they’ve shown preference for...shoulda went to Rutgers I guess. Shout out to Coach Ditka’s 1961 rookie TE season - 56 balls 1076yd and 12td, and gotta believe George Halas wouldn’t put you out there if you wouldn’t block back then. Adjusted for inflation, so to speak, that’s pretty impressive production. And get well soon, ya *******! This is a rough look. Another reason why my thread should be main page'd @Ian. We wouldn't have this blasphemy if people knew what type of player he was coming out.